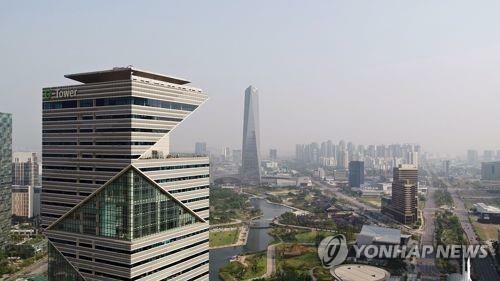 (SEOUL=Yonhap News)The government is set to proceed with Zone-specific innovative, growing industries in Free Economic Zones(FEZ), which was created for foreign investment attraction and industrial upgrading. The Ministry of Trade, Industry and Energy (MOTIE) held the "3rd Free Economic Zone Renovation Council" with seven Free Economic Zone Authorities on January 31, presenting business proposals for innovative growth by Zone. For instance, it was decided to proceed with a demonstration project to create a global bio cluster in Incheon. For starter, Incheon's demonstration project for global bio cluster will conduct a pilot project, a predictive personal genome analysis service, led by Macrogen which applied for regulation sandbox. The Free Economic Zone was first introduced in 2003 to promote foreign investment by providing foreign investing companies with tax benefits, regulation exemption, and site support, among others. The government announced that it will identify innovative, growing businesses appropriate for each Zone with shifting the priority of FEZs from investment attraction to innovative growth support. In the Yellow Sea Free Economic Zone, manufacturing and R&D centers for electric cars and buses will be established, with attracting automobile's upstream and downstream industries - manufacturing, remodeling, and repairing - in cooperation with Pyeongtaek city. In Daegu, Gyeongbuk, Suseong Medical district smart city will be made. In Gwangyang Bay Area, a complex is to be built to process highly purified carbon, produced in large quantity in the region, into high-value chemical products. Also included are the establishment of Osong Bio-vally in Chungbuk, the aluminum alloy processing cluster in East Coast, and the global logistic complex in Busan Jinhae. The experts participated in the council proposed various ideas like smart logistics applying blockchain and self-driving car pilot projects. The MOTIE plans to announce a plan on how to proceed with innovative growth in FEZs in the first half of this year after reviewing businesses proposals by experts and each FEZ.